Traveling back in time, we're now in the era when Glenfiddich was transitioning away from the "Pure Malt" nomenclature. 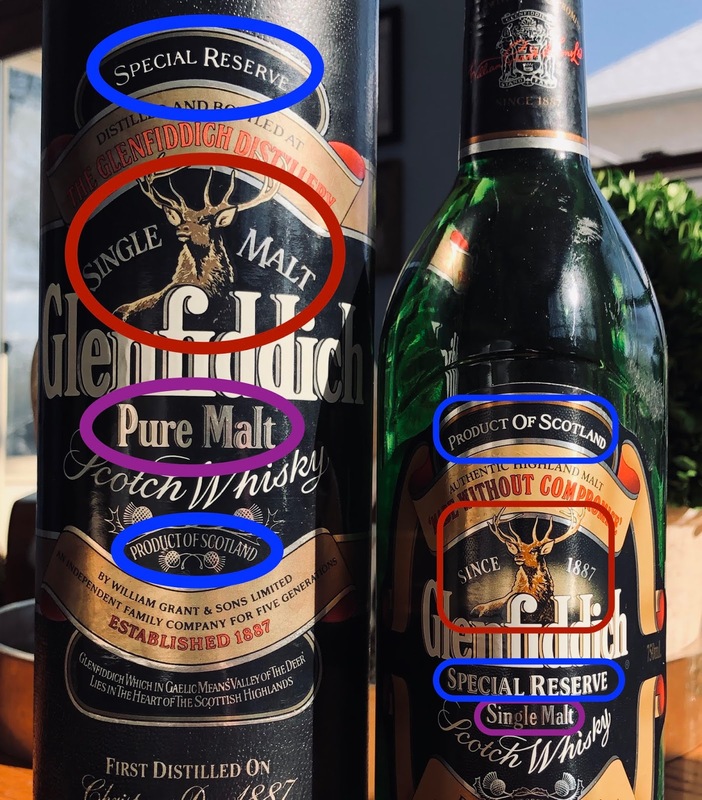 As a result there are some design inconsistencies between the bottle label and the tube, where one will see both the Pure Malt and Single Malt titles. 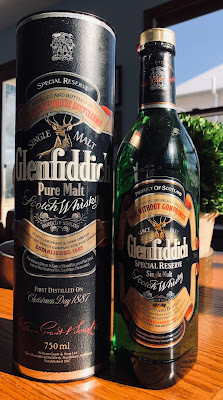 When I tried this whisky up against the 2017 bottling in the most recent Killing Whisky History, this 'Fiddich came out on top. That made me happy because this bottle is 750mL, and it's sad to have 750mLs of bleh. I found the bottle at a random liquor store somewhere in Orange County in the spring of 2016. There were at least four more bottles on the shelf, and the gent behind the counter wanted to sell me all of them. I didn't take him up on it because I wasn't sure if I knew what the whisky was like. He was a nice guy, though, and kinda desperate to get rid of someone crap no one else wanted. All four bottles are probably still there. Ready, set, go, find it! First thing to note is the color which is much lighter than the three Glenfiddichs that preceded it this month. In fact, I wouldn't be shocked if no e150a was applied. The nose is vibrant for 40%abv. Lots of barley, flowers and orange juice. A mix of honey mustard and ground mustard seed. With some time in the glass, the whisky develops notes of butterscotch and key lime pie. The palate feels much thicker than the 2017's. The sweeter notes — butterscotch, confectioner's sugar, vanilla bean — are balanced with some zippy notes of horseradish and ginger. After a while it gains peach nectar and flower notes without losing anything along the way. The finish has a decent length. It's mildly sweet with lots of citrus and ginger, and smaller notes of mint and vanilla bean. This is very pleasant without being generic. It's textured and tasty with a little bit of complexity. I don't think there's longer-aged whisky in the mix, but the bourbon casks are doing their job without overwhelming the spirit. There's no sherry cask influence to be found, but that's not a bad thing here. 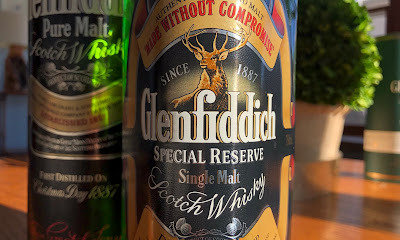 It's the most enjoyable Glenfiddich of the group so far, by far.